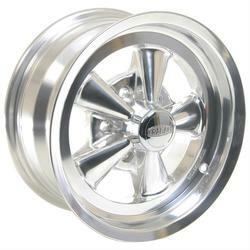 The Cragar Wheels brand offers a collection of stylized wheels ‘Built for Real American Muscle’. 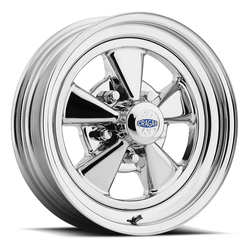 Over the last century, the Cragar brand has established significance for auto enthusiasts through its key milestones in history, high-quality performance, and unique custom appearance. 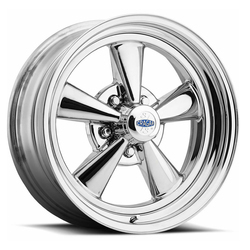 Since the 1960s, Cragar Wheels have been a staple in the custom wheel industry symbolizing iconic style, performance and speed. 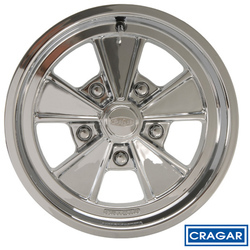 As one of the most respected brands in the street rod, street machine and performance racing circles, Cragar holds an ever expanding product portfolio of aluminum and steel wheels that continue to set the standard for quality. 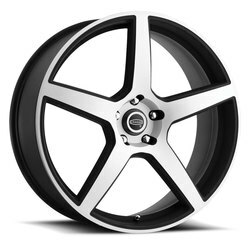 Every wheel is designed with the same care and commitment to excellence that has made Cragar Wheels a constant driving force in the automotive aftermarket. 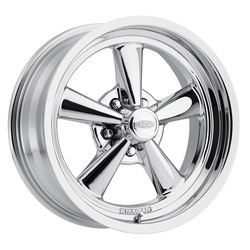 Cragar’s passion for styled wheels focuses on four key wheel classes: Super Sport (S/S), Modern Muscle, Vintage and Steel. 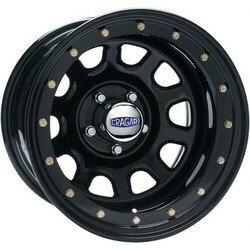 Cragar Nomad I wheels feature 8-spoke styling and are made with all of the quality that Cragar is famous for. They are available in a white finish. 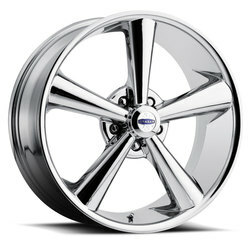 These Chrome Smoothie wheels will turn heads at the cruise-in and on the road with their classic good looks. 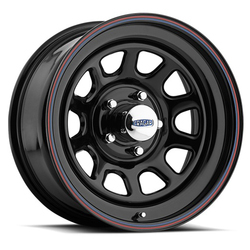 Their smooth, nostalgic style is a perfect choice for your hot rod. 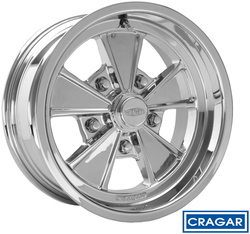 Cragar Chrome Quick Trick I wheels feature race car styling with a 10-hole design and a riveted look. 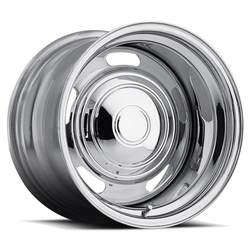 They are available in a chrome finish. 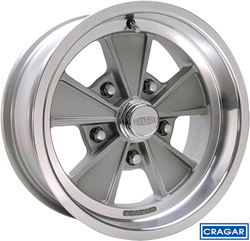 Cragar wheels are built for American muscle. 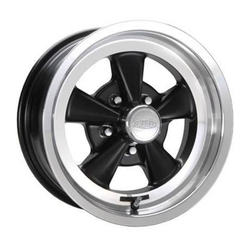 These Street Lock wheels from Cragar feature D window cutout styling and have a beadlock look for extra eye appeal. 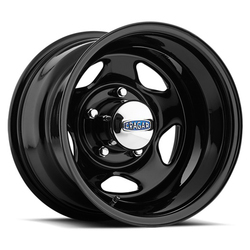 They're available in a black powdercoated finish. 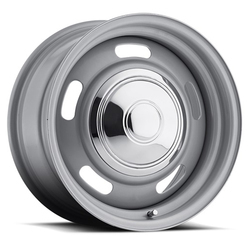 Cragar Silver D window wheels feature a silver finish with D-shaped window cutouts. 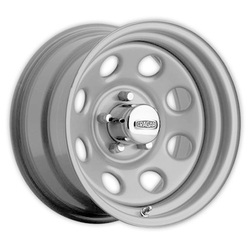 They are manufactured from durable steel and are available in different diameters and widths to fit your needs. 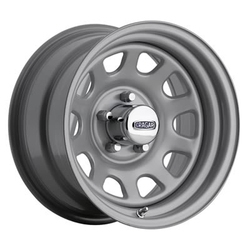 Cragar's V-5 wheels feature classic 5-star styling and durable steel construction. 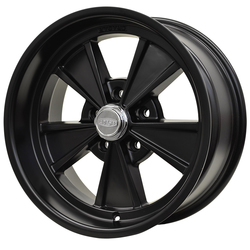 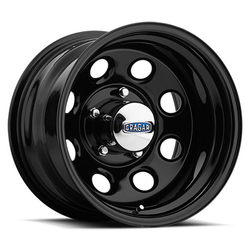 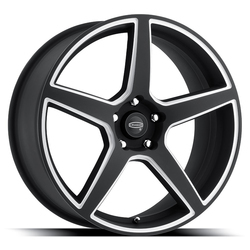 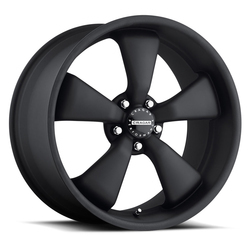 These great looking wheels are available in a high-quality black finish. 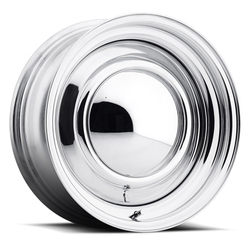 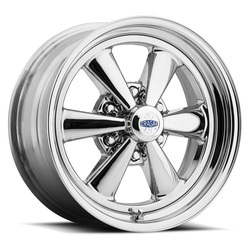 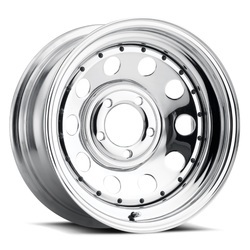 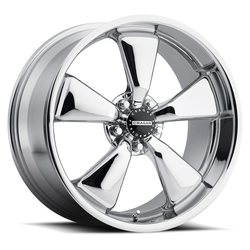 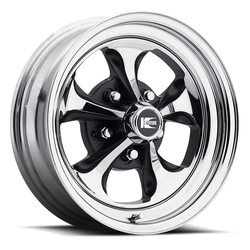 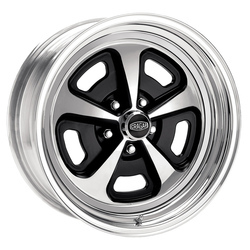 Known as The Original Muscle Car Wheel, the S/S line is the most popular custom chrome wheel design. 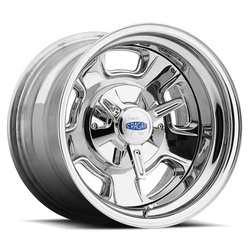 These unique, timeless classic mags wheels are a must have. 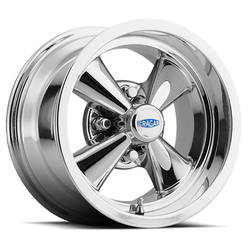 Over the last century, the Cragar brand has established significance for auto enthusiasts through its key milestones in history, high-quality performance, and unique custom appearance. 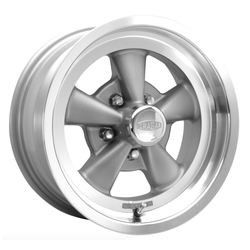 Cragar's Series 352 Street Lock D Window Steel Wheel features D window cutout styling and has a bead lock look for extra eye appeal.